After a traumatic wrap skirt experience at the hands of a vindictive Home Economics teacher in junior high school, Carla hung up her sewing shears, choosing to pursue a graduate degree in Rehabilitation Counseling which she used to pursue a career working with children with disabilities and their families. She left that job to become a stay-at-home mom, but soon realized she needed a hobby. 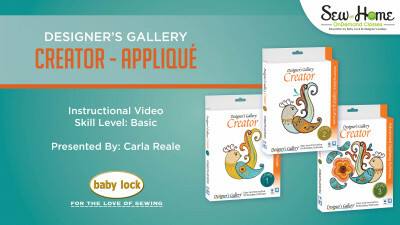 Her fascination with embroidery machines coupled with her inability to leave anything left unexplained lead to her teaching digitizing software both by writing digital workbooks and by teaching classes at the local Baby Lock retailer’s store. Her innate selling skills, and overt bossiness combined with the counseling skills she acquired in college (no it did NOT go to waste, Dad) enabled her to manage a very successful store for the next thirteen years. During that time, she became a certified machine technician and developed a series of videos to teach her customers how to use their machines. 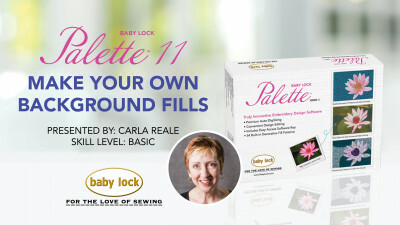 As a National Training Specialist for Baby Lock, Carla enjoys training retailers how to both sell and use Baby Lock machines and software, and is involved with the SewlutionExpert Certification programs.